Professional Concert Castanets. Grenadillo Pro Concert Castanets on handles, 2 7/8"
Black Swamp "elastic free" tension system offers the most creative and functional castanet handle design ever available. Castanets are machined in house for total control over quality, and consistency. The design as a whole...castanet shape, handle assembly and mounting style...allows for a comfortable performance at every dynamic, with very little adjustment necessary. The micro-adjust tension knob also allows you to fine tune the castanet's response quickly, even in the middle of a performance! Plus, you can still play on your knee or in the air for added projection and visual distinction! Artist Thoughts: Pedro Carneiro: "I used rosewood castanets for my recording of Cassiopeia, a concerto for percussion and large orchestra by renowned Japanese composer Toru Takemitsu. The castanets are in fact, the first instrument to be heard in the piece. They have a powerfull, yet sumptuous tone. Plus, the handle's Micro-Adjust tone control made it a lot easier to play this passage precisely, as the performer has to walk and move whilst playing the castanets!". 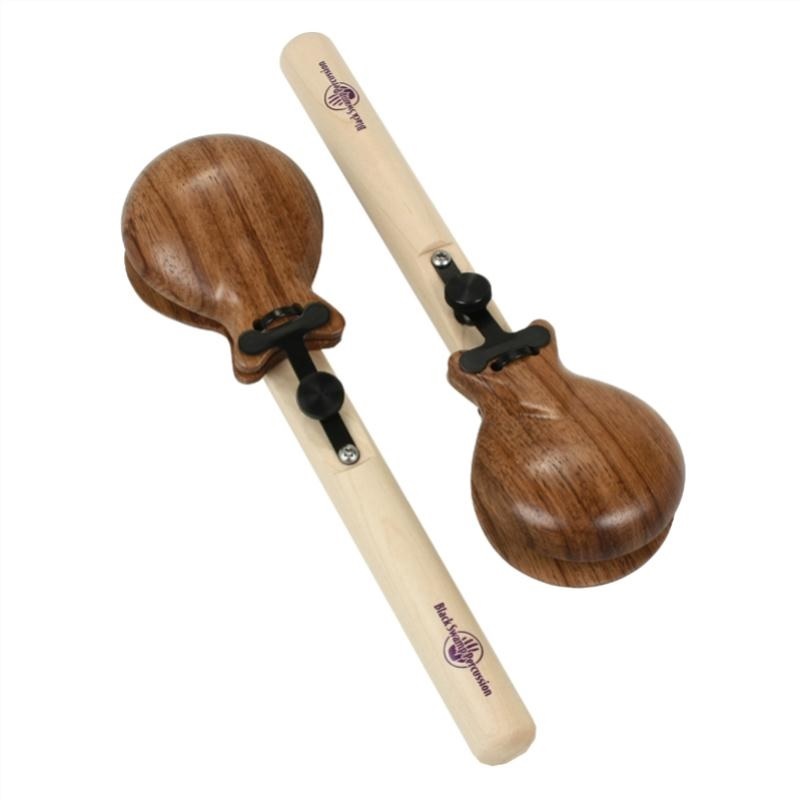 Handle Design: Black Swamp "elastic free" handle design lets you articulate rhythms in the air or on your knee, and allows the castanets to properly seat against one another, retaining the full resonance of the internal chamber. Castanets are machined in house for complete control over consistency, sound quality and performance.